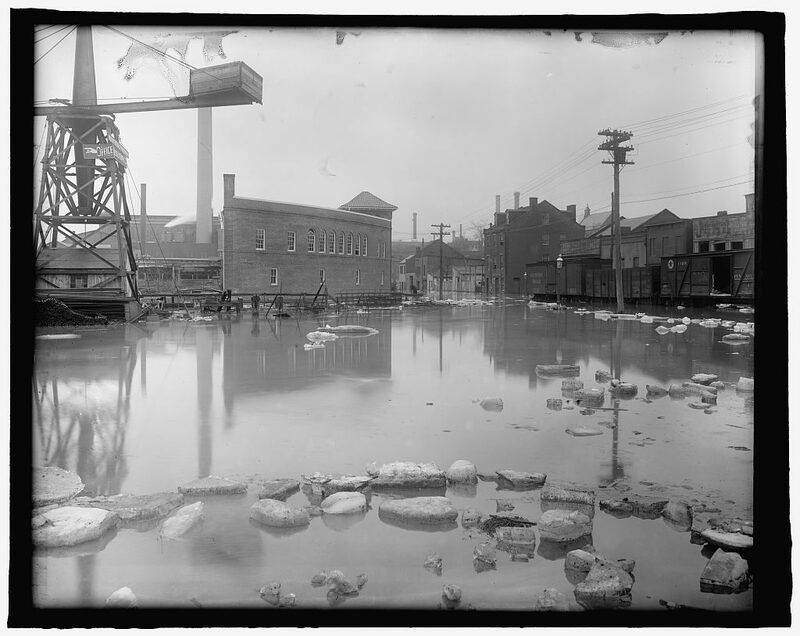 Flood, Wash., D.C., Feb. 1918. Washington D.C, 1918. Feb. [Photograph] Retrieved from the Library of Congress, https://www.loc.gov/item/npc2008011357/. 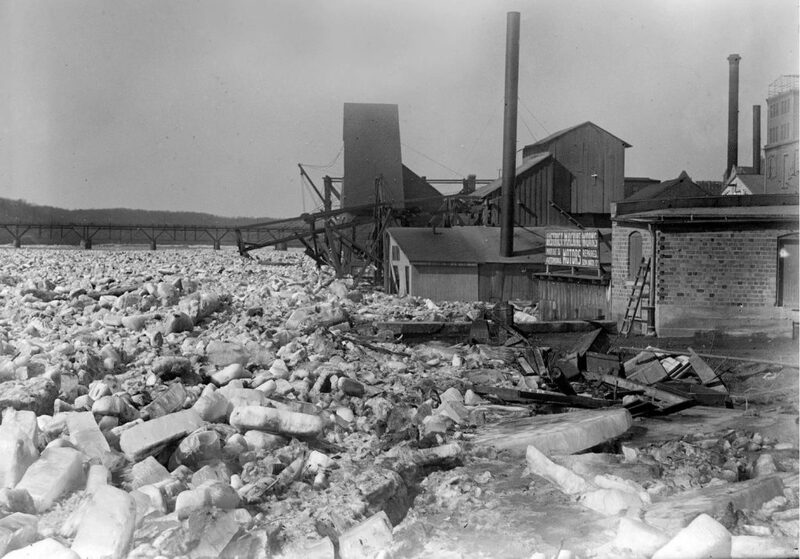 An ice dam in the winter of 1918 resulted in massive flooding and damage along the waterfront in Georgetown. This photo is a neat perspective that I have never seen before. The location is the far East end of the Georgetown Branch, basically at the end. Just to the the right, the three freight cars sit on Water St. (aptly named in this situation). Just to the right of the photographer is the old B&O freight station. In front there is a large curved building which sat in front of the Smoot Sand & Gravel plant. Not sure if that’s what it was at this point. I have to check the maps. And just behind it you can see the tall light-colored stack of the Capital Traction Power House, which was constructed 8 years prior in 1910. Views of the waterfront in the early years of the Branch are few and far between so I treasure each one! Hope you enjoy this one as much as I did.